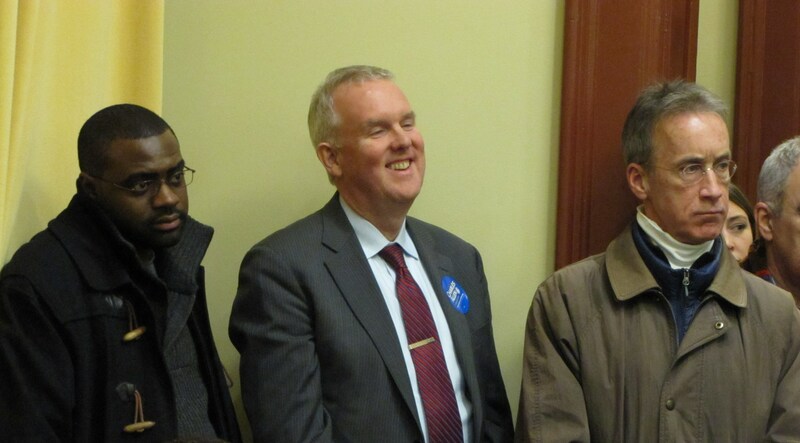 Ward Six Council candidates Charles Allen and Darrel Thompson met at the Hill Center Friday night in a 90 minute forum attended by about 130 Capitol Hill residents. The audience seemed weighted in favor of Allen with current Councilmember Tommy Wells, former Councilmember Sharon Ambrose, and half a dozen ANC6A and 6B commissioners in attendance. Allen’s finance co-chairs Steve and Nicky Cymrot, founders of the Capitol Hill Foundation and the Hill Center, sat in the front row and wore Allen stickers, as did Ambrose and several ANC commissioners. 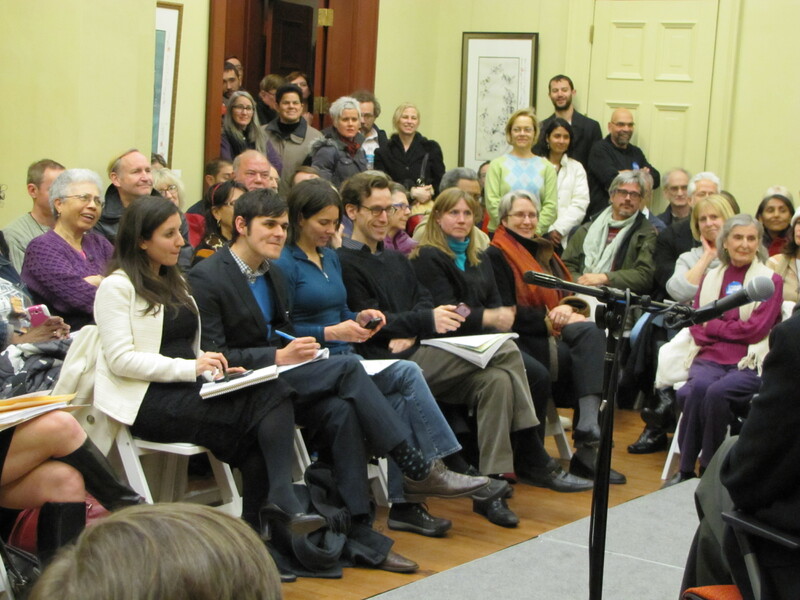 Moderator Andrew Lightman, managing editor of East of the River, Hill Rag and Mid City DC publications, posed a series of questions submitted by the audience. Some of these were so technical that they went over the heads of both candidates, and well as much of the audience, and seemed, perhaps, to be contrived as “gotcha questions,” rendering parts of the forum more like a quiz show than an attempt to elicit the candidates’ positions. For example, a detailed question about historic preservation had both candidates providing answers which demonstrated that neither one was particularly well-versed in preservation process. Other more relevant questions which might have been asked about whether the candidates supported expansion of the Capitol Hill Historic District or whether Capitol Hill had enough density, or what could be done to encourage a better retail mix for commercial strips, or how to bring accountability to the frequently unresponsive DDOT, were not asked and remained unaddressed. The forum revealed few major policy differences between the candidates. 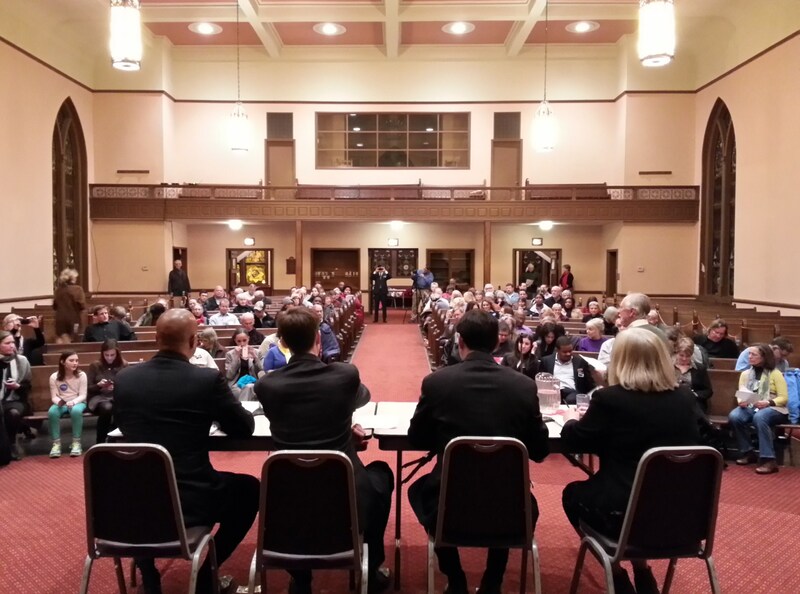 The range of questions was broad, including such categories as Eastern Market governance, charter schools, campaign contributions, outside employment for Councilmembers, affordability of housing, transportation, income disparity, the new soccer stadium, crime, and the proposed change in zoning regulations. One area where the candidates sharply differed concerned charter schools, with Thompson hedging on whether there should be neighborhood preference for charter schools, and Allen saying he was opposed. Another area of disagreement was whether the city council should approve contracts, with Allen saying they should not, and Thompson saying they should, but with greater oversight. The highly specific questions favored by the moderator allowed Allen to demonstrate his experience in knowledge of how the city council operates and a greater familiarity with details of some of the issues which concern Ward Six. Thompson fell back frequently on the device of saying he would reach out to and engage the affected parties and residents of Ward Six – whether they be parents of school children, or Eastern Market vendors – for input on determining policy, and appeared as the more outgoing, engaging personality with a more inclusive vision of moving Ward Six forward. After two forums, neither candidate has distinguished himself as a clear favorite, perhaps because of the lack of major policy differences between them, but partly because although neither is weak, neither is strong. It this pattern holds, debate performance will likely not be the determining factor in the race. Westminster Presbyterian Church – Tuesday, March 4, from 7 to 9 pm. The Shaw Library – Tuesday, March 11 from 6:30 to 7:30 pm. A forum focusing on education will be held on Thursday, March 6, at Stuart-Hobson Middle School, 410 E Street, NE, from 6:30 – 8:00 pm. The moderator will be Emma Brown, education columnist for the Washington Post. The forum will be sponsored by CHPSPO (Capitol Hill Public School Parent Organization), Future Civic Leaders, and the DC Urban Debate League. 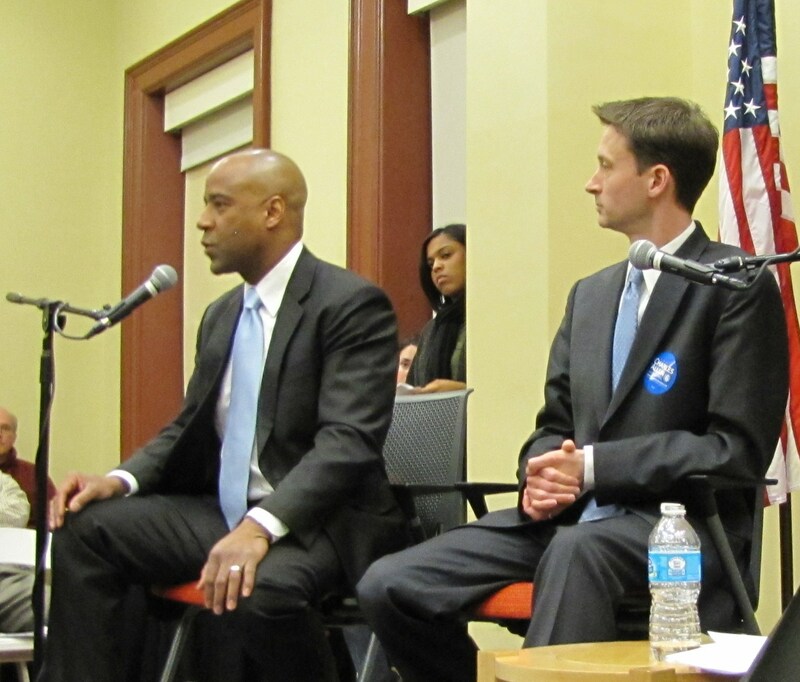 Last night, some 140 Ward 6 residents heard from city council candidates Charles Allen (D), Pranav Badhwar (L), and Darrel Thompson (D) in the first of a series of forums between now and the April 1st Democratic primary. Badhwar, the Libertarian Party candidate, will not be on the ballot in the primary. 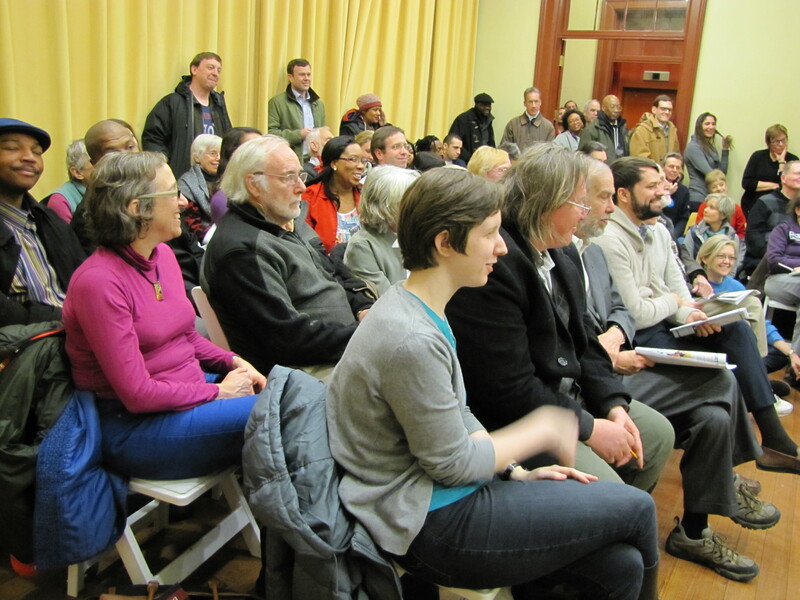 Allen and Thompson agreed on most of the issues brought up last night: a preference for supporting public vs. charter schools, how to negotiate enrollment for neighborhood schools, the need to address the homeless issue and create more affordable housing, moving development of Reservation 13 forward, and opposition to the CSX tunnel and the current DDOT plans for the Southeast Boulevard. Allen made much of his experience gained in years working as current councilmember Tommy Wells’ staff director, citing issues he has worked on and experience he gained. Thompson focused on a need for new leadership, his commitment to the community, and casting a broader net in defining community and sharing the benefits of urban development. 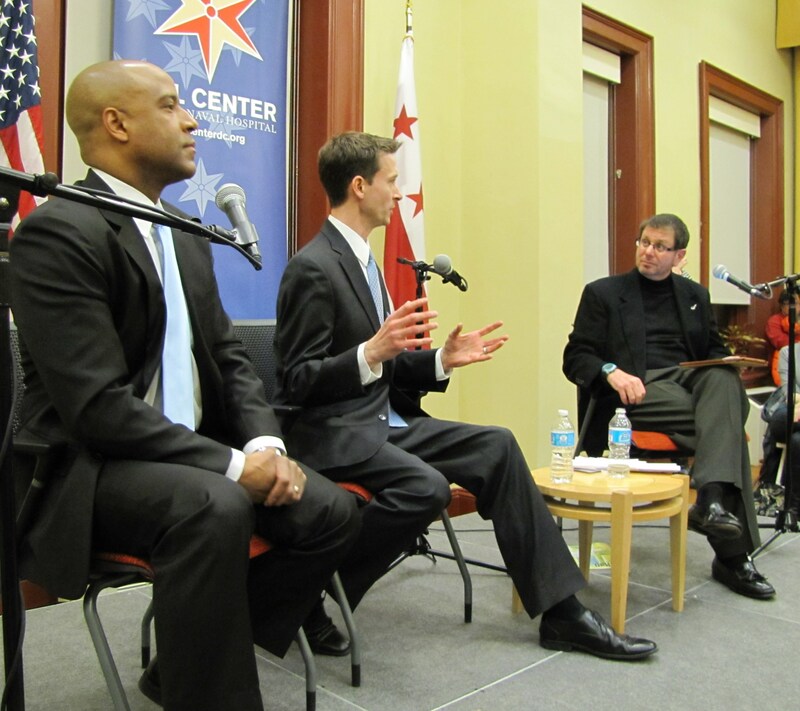 Otherwise, Allen had some good moments in answering a question on how to deal with drug related gang violence in Shaw, demonstrating knowledge in how to respond to crime trends, and in addressing the growing disparity between the city’s rich and the poor, citing the increase in minimum wage and the standard deduction. Badhwar will not be on the ballot until the general election and many of his responses incorporated advocacy for protecting citizen rights and alleviating the burden government places on them. He seemed to charm many in the audience with his candor and humor, though his response of “I’m not familiar with the issue” separated him from the other two candidates, both of whom were well-versed in the issues facing Ward 6. 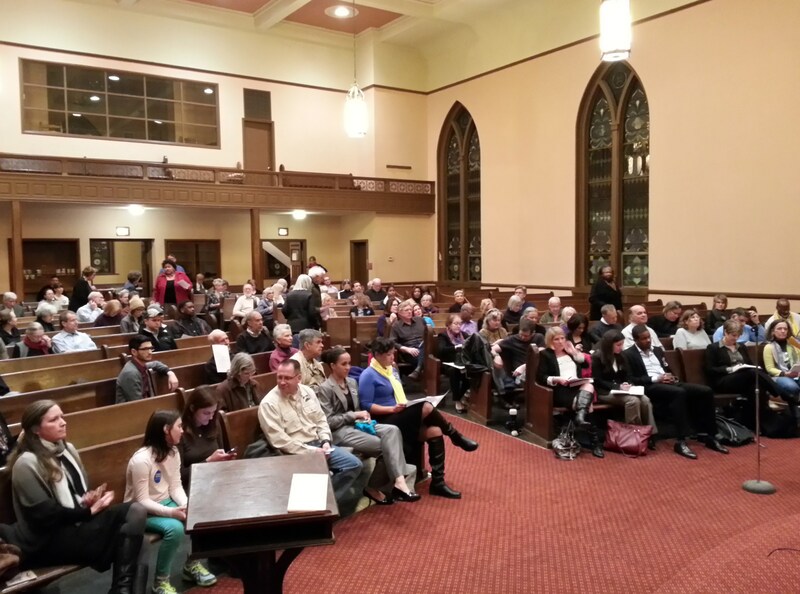 Last night’s forum took place at the Capitol Hill Presbyterian Church and was sponsored by Capitol Hill Group Ministry, Capitol Hill Public School Parent Organization, and Eastern Market Metro Community Organization. 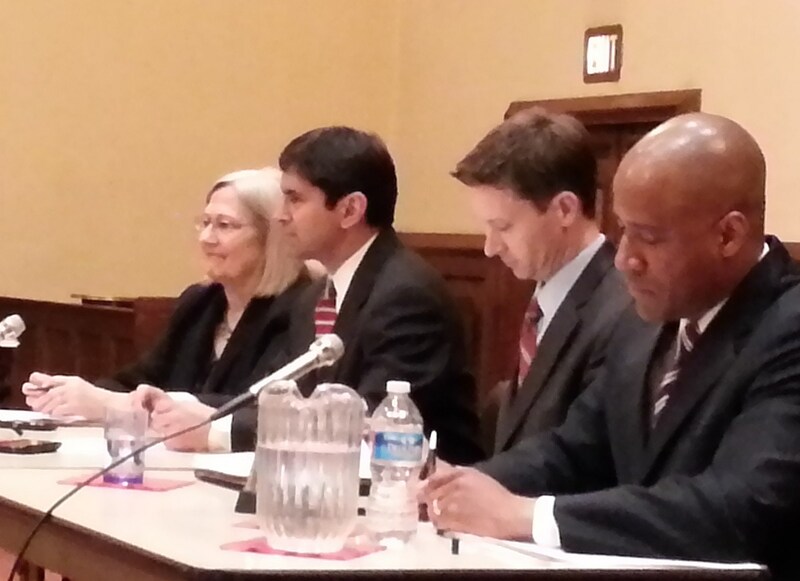 Last night’s Forum Moderator was former Councilmember Kathy Patterson. The Hill Center – Friday, February 28 from 7 to 9 pm. Westminster Presbyterian Church – March 4 from 7 to 9 pm. The Shaw Library — March 11 from 6:30 to 7:30 pm.